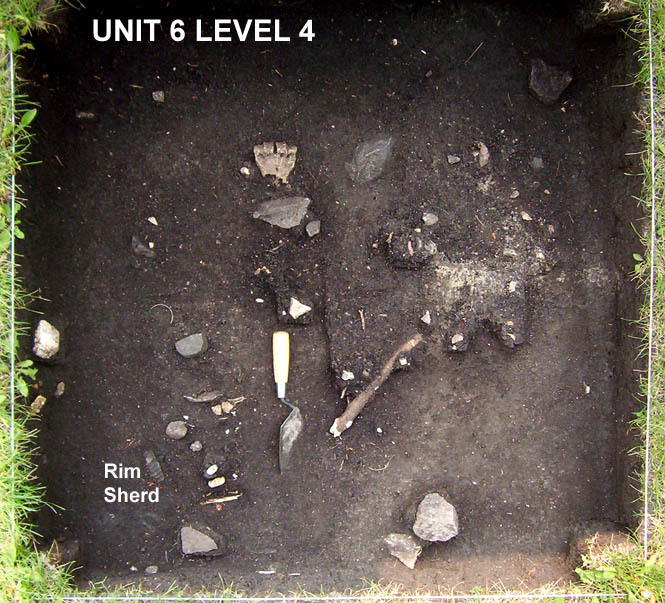 A rim of a pottery container decorated with a cord-wrapped object was discovered in Unit 6 today. 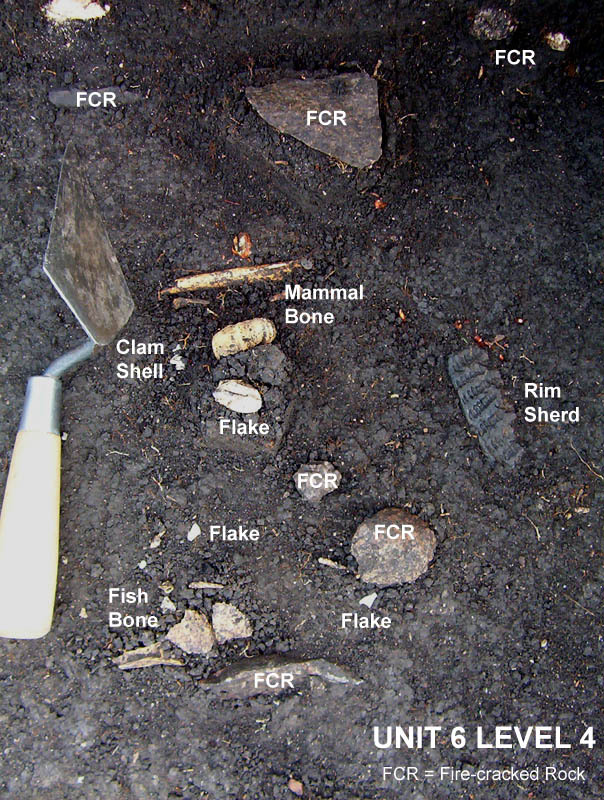 It was found with fire-cracked rock, fish bone, mammal bone, clam shell and flakes associated with the hearth feature. 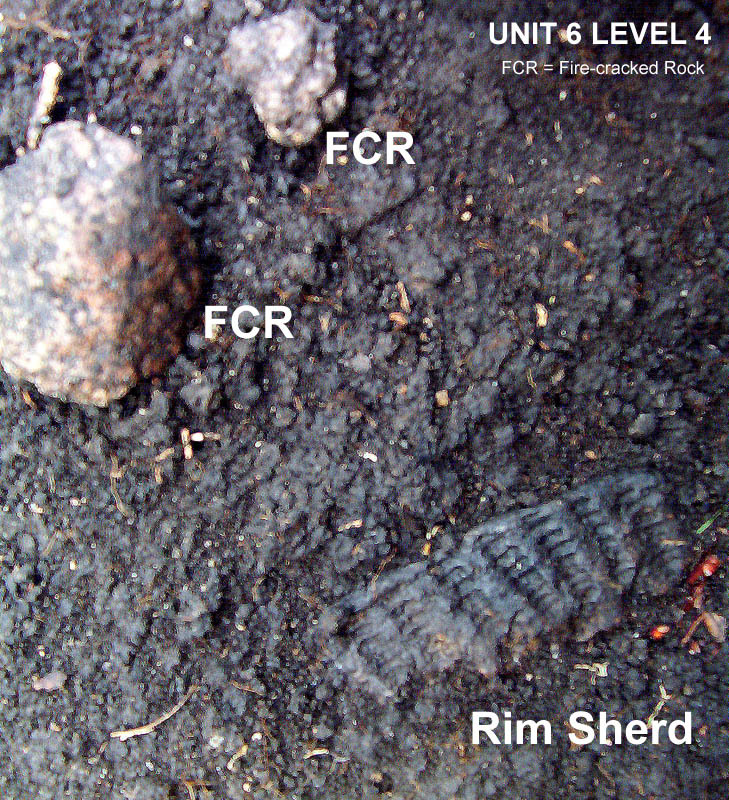 It was located near the rim sherd photographed on June 14. These two rims are from two different types of pottery containers. 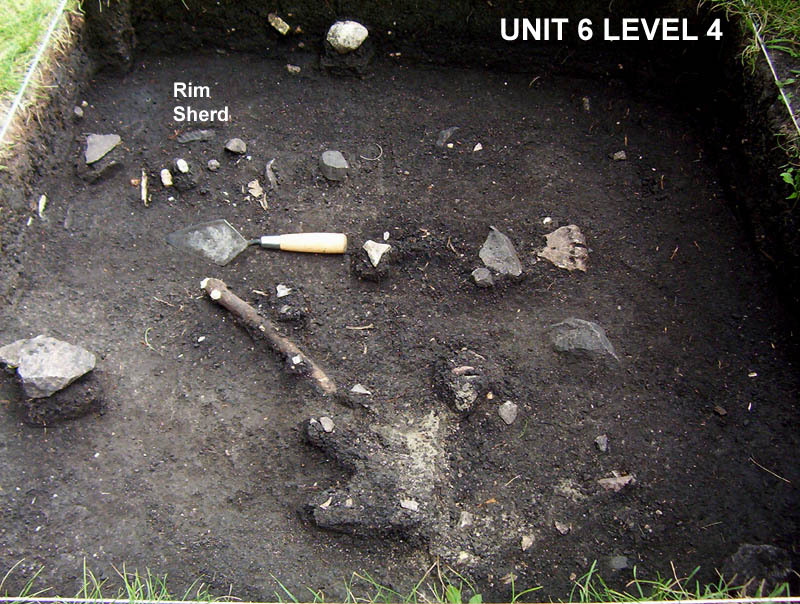 These styles of pottery developed in southern Manitoba approximately 1500 years ago.